Imagine that you are 17, orphaned, homeless and pregnant. You have no relatives you can contact, you have just been ejected from your student home, your best friend has turned her back, you have nowhere to turn or go, you are completely alone and abandoned by everyone. 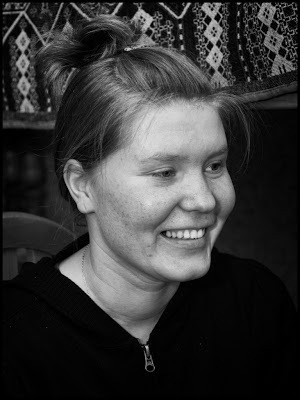 That was the situation of Sveta who I met at Grace Family Center in St. Petersburg in 2011. Svetas parents died in a car accident when she was only nine. She ended up at the orphanage Swallow and lived there until she graduated. After graduation she began studying at a vocational school, where she managed to get into a student home. Shortly thereafter she met a guy, with whom she became involved and not long after she was pregnant. The relationship with her ended before she realized she was pregnant. He was not at all interested in supporting a child, so he told her to get an abortion. 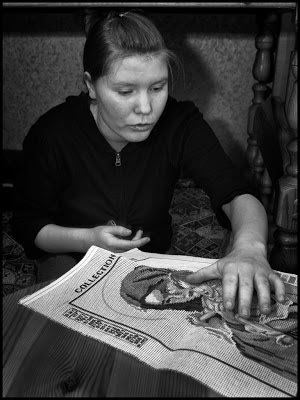 “First, I also wanted to perform an abortion and I booked one at the hospital, but just before the abortion would be performed I changed my mind and decided that I would keep the baby,” says Sveta, and looks nervously down at the floor. The fact that Sveta had become pregnant was in itself a miracle. She had been told that she could never become pregnant due to a congenital defect in the womb. This was with all certainly the only chance Sveta would ever have at being a mother. She decided that the child would be born. The staff of Grace decided that Sveta could stay at the family Centre apartment and picked her up the same afternoon. Sveta moved in at the beginning of September 2009. 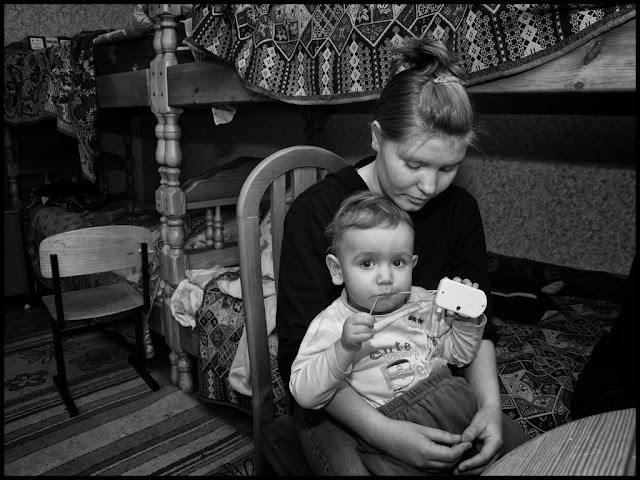 Her son Sergei was born in October the same year. “I am very grateful that I kept Sergei and did not undergo abortion. It is not certain that I can have more children. Sergei is a real godsend, a miracle baby. 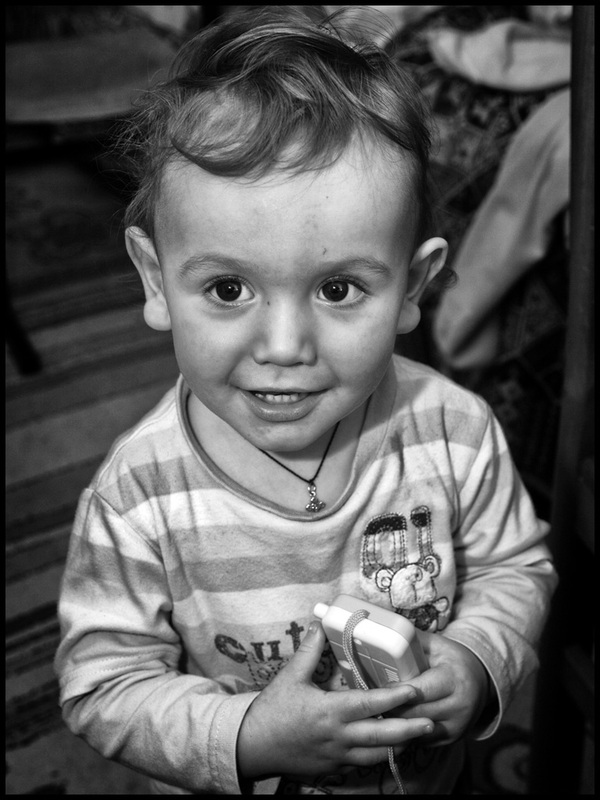 He is a healthy and very happy little boy,” Sveta lovingly wraps her arms around her little baby boy. 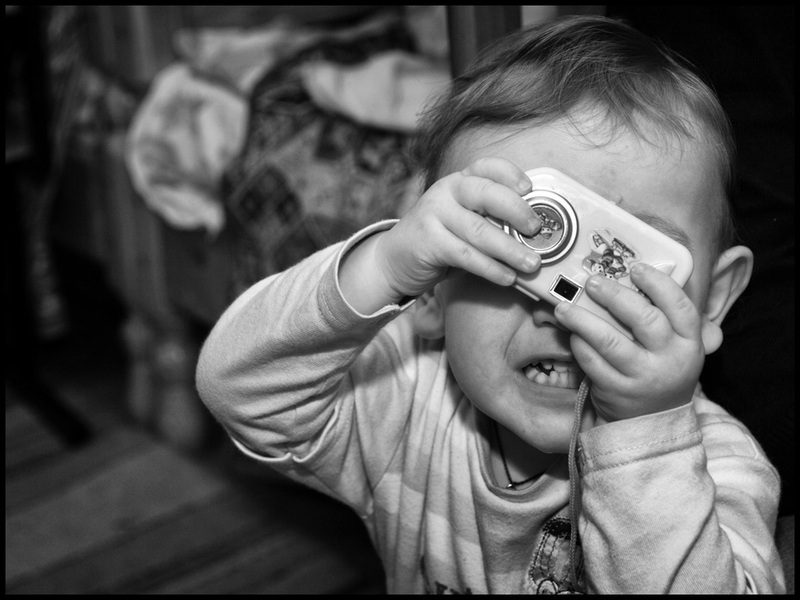 Sergei gets his hands on a toy camera, and as he jumps down from his mother’s lap he begins to take pictures of me. I take out my camera and snap a photo of him, when I show him the picture he starts to laugh when he realizes it’s he on the photo. Sergei is a happy little guy who enjoys being the center of attention and while at Grace, there is always a lap that he can sit in. Sveta really enjoys living at Grace, although it sometimes gets too crowded and noisy there. The warm Christian atmosphere and all the friendly people in her neighborhood who live out their faith led to Sveta becoming envious of them, she wanted what they had. “The Greatest that has happened to me here at Grace is that I have received Jesus as my personal Saviour and Lord and that I have become baptized. My mother used to talk to me about Jesus when I was a child and when I lived at the orphanage we used to go to church a couple of times a year but it is only here at Grace that I have met people who actually live out their faith,” She says with a radiant smile. Despite that all who come to Grace are not Christian most usually go to services at the nearby Russian Orthodox Church. The priests and nuns often visit Grace, where they hold bible studies and talk to those who live in or visit the Centre. When Sergei becomes two years the staff at Grace will help Sveta to get an apartment where she and her son can live. Then Sergei can start at nursery school and Sveta can start looking for jobs. When Sergei was born Svetas grandmother died and she inherited a small area of land that she is considering to sell for an initial capital. God has really taken care of Sveta and Sergei. Grace is a family center in St. Petersburg that follows this motto: love and goodness is something that everyone needs. They have created a Christian family community for single mothers and orphans. The staff of Grace regularly visits orphaned children and young people at Hostels, boarding schools and orphanages in St. Petersburg and the surrounding area. They preach the Gospel and invite the children to the community at the family center. All orphans should know where they can go when they have finished school and are expected to fend for themselves. 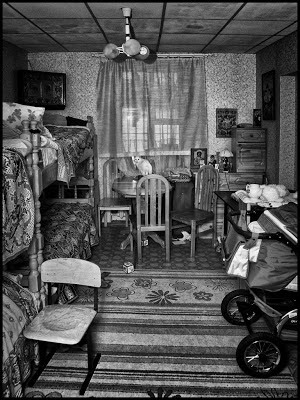 Their work is important, especially in a large city as St. Petersburg where solitude is widespread and many former orphanage children easily fall into the wrong company. There are beds at Grace where those who need extra support can stay. The staff of Grace is Christian and works in close connection with the local Russian Orthodox Church which also pays the cost of their little three room apartment. The goal of the operation is to invite the orphans and single mothers to a personal relationship with Jesus and get them into the Christian community. Many foreign pastors and evangelists have tried to start congregations in Russia, most of these have failed. Personally, I believe that their failures are due to the fact that there are major gaps in our understanding of how Russians think, acts and feel. The key to understand Russia and its citizens is to know the history of the country. Many foreign pastors and evangelists have, in addition to the Gospel, attempted to preach their own lifestyle and values. I believe in the revival of Russia, a revival that originated in the Great Russian Orthodox Church. Places like Grace Family Center can be key-points for the revival and we can give them our support through our prayers and financial support. Jesus is the answer for Russia!